This site is for all passionate football fans who need one place to find all the football-related information. Our site covers all important football events and all major leagues. We also employ a discussion section where you can freely state your opinion and exchange with other enthusiastic fans your point of views. Go to the news section for the latest updates on players, teams, and games to be played. We are here for you throughout the season. Also, let’s enter together the upcoming 2018 FIFA Football Cup with live feeds, best performances, and so much more. Until we are waiting for the biggest event of 2018, let’s take a look at how it all started and how it looked like when football was born. Which events represented ground-breaking milestones in the development of the favorite game on Earth. Great Britain is the cradle of football since it was the first country to establish a football association as the chief governing body that regulates all football activities. It all started more than 100 years ago, in 1863. English football spread to other areas as well, especially those that were under the influence of the Crown. Different football codes were employed by different countries, but Britain managed to shape the standardization rules which we know today. The roots of football seize back to ancient history though when Romans and Greeks played various ball games that included the use of feet. In Asia, the first game that resembled football was actually a military exercise that involved playing with the ball not using your hands. Also, the first days of football did not include any rules as to protect the body from injuries or getting hurt. It was only later that certain rules of what is not allowed were introduced. Football was classified under the mob category as there was no limitation on the number of players and everything was allowed except for killing someone which implies that kicking and hitting were a substantial part of the deal. Primitive football forms were known all over the world, and in Britain, it was a disorganized sports game that was played for ten centuries (from the 9th to the 19th) until it finally evolved into a more sophisticated form. Before 1863, football was more violent, with few rules, and it was a tough game resembling rugby. In 1863, the size and weight of the ball were determined. The first agreement on the 90-minute duration of the game was determined in 1866 during a game between Sheffield and London. The 20th century saw the rise of different professional football leagues which are ranked from amateur leagues to top leagues of a country’s. The English Premier League is the highest ranked league in England and only the best teams listed with the football association have the honor to compete in this league. It works on the basis of promotion and relegation of clubs, and 20 clubs are admitted to the league each season which lasts from August to May. Each team plays each team twice, and more than 300 games are played per season. The Premier League is also internationally recognized and the most watched league in the world. It stands for prestige, credit, and represents the highest form of football worldwide. This is one of the reasons brands like EA Sports, Nike, Tag Heue and many more sponsor it and thus advertise in front of millions of visitors and spectarors. Clubs on the other hand partner with major online casinos (some of the UK casinos reviewed here) and millions of punds are invested in them. The Premier League was introduced in 1992, and since then, 47 clubs in total had the honor to compete in the League. Out of the 47, six proved to be the best as the trophy has been passed around among these six, season in and season out. These six teams count to the most popular British clubs, and they are Manchester United, Manchester City, Arsenal, Chelsea, Leicester City, and Blackburn Rovers. The latter two are not as strong as the first four, but they also won the title one time each. As for the rest of Europe, each country has their own first division league, so we have the Bundesliga in Germany, Series A in Italy, and the La Liga in Spain. Germany’s most famous team is Bayern Munich, whereby in Italy, Milan is one of the ruling clubs. Spain is known for its everlasting rivalry between legendary Barcelona and Real Madrid. All of these teams take it up with each other on the court in the FIFA World Cup. In the 1900s, football gained more recognition and football associations were formed all over the world. FIFA was established in 1904 in France consisting of football associations from several European countries, and with each year, new countries joined. In 1930, FIFA President Rimet made the decision to hold an international FIFA competition where all FIFA member clubs would compete against each other. The first tournament summoned up 13 teams to fight for the title. After years of remodeling the FIFA Cup and introducing novelties, FIFA came to be the most significant sports competition in football where around 200 international teams participate in a 2-year-long qualification process. Out of the 200, the 32 best get the opportunity to compete for the FIFA Championship title. The FIFA Cup is the most watched sports competition with billions of viewers, topping even the Olympics. Brazil remains the number one national team with five FIFA Cup trophies. The country that produces the biggest football talents won their first trophy in 1958 and their last in 2002. Germany closely follows with four World Cup titles and has great odds to throw Brazil from the throne in the upcoming FIFA tournaments. Germany is the current title holder with their victory in 2014, and it is left to see how they will perform in in the 2018 World Cup which is to be held in Qatar. Italy’s also got four prestigious FIFA trophies. The country already showed its potential in the second FIFA tournament in 1934 when they went home with the gold medal. Their last FIFA victory was more than a decade ago, in 2006. 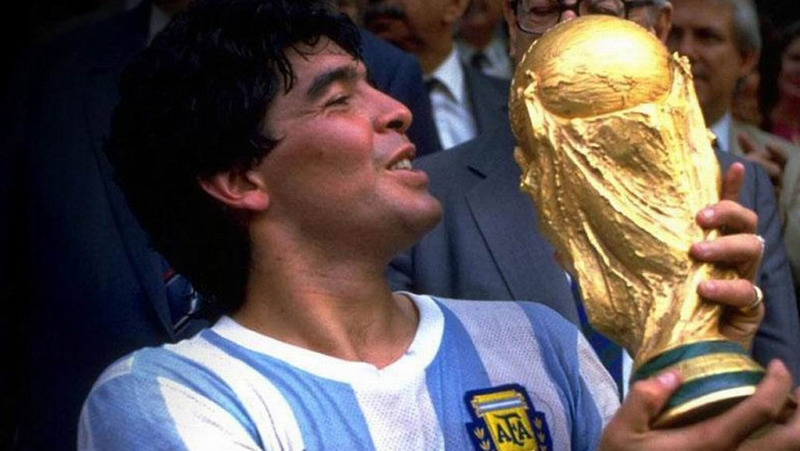 Uruguay and Argentina are also good in the game as each has got won the FIFA tournament two times so far. England, the cradle of football, won the Cup only once in 1966. France had the opportunity to stash the gold medal once when they beat the all-time favorite Brazil in 1998. Spain had always been one of the favorites, but despite their excellent line-up every four years, they claimed the title just once (in 2010). The best football players leave their heart and soul on the football court, especially during FIFA tournaments when it comes to all or nothing. The best football players live for football, and they work very hard to outmaneuver the opponent (or the enemy) with great football stunts from season to season. Let’s take a look at the best football players in the history of FIFA competitions. Roberto Carlos was extremely talented. The Brazilian could kick the ball to fly 100 miles per hour. In the 2002 FIFA Cup, he led his team to the title with a rating of 94. Oliver Kahn, the German goalkeeper, and one of the best goalkeepers of all times rescued Germany on many occasions and contributed to its success in international competitions and tournaments. Bayern Munich secured 8 Bundesliga titles while he was keeping the team’s gates. He played for the national team for eleven years, and he spent 14 with Bayern Munich. He went down in history as one of the most sensational goalkeepers of all times. Ronaldinho delivered amazing stunts during his career especially when he was transferred to Barcelona. He played for the Brazilian national team and led Barcelona to numerous titles in the prestigious La Liga. Cristiano Ronaldo is a football icon of the more recent football generations. His most astonishing achievements include the Champions League and European Championship in the 2015/2016 season. He plays for the national team of Portugal and one of the strongest teams Real Madrid. His fame was additionally spurred by his rivalry with Lionel Messi. Messi plays for Real Madrid’s archenemy Barcelona and was also pronounced the best player of the season multiple times, just like Ronaldo. Messi is a football wizard and an inspiration to all kids out there. Paolo Maldini was one of the exquisite players who played for the Italian national team. 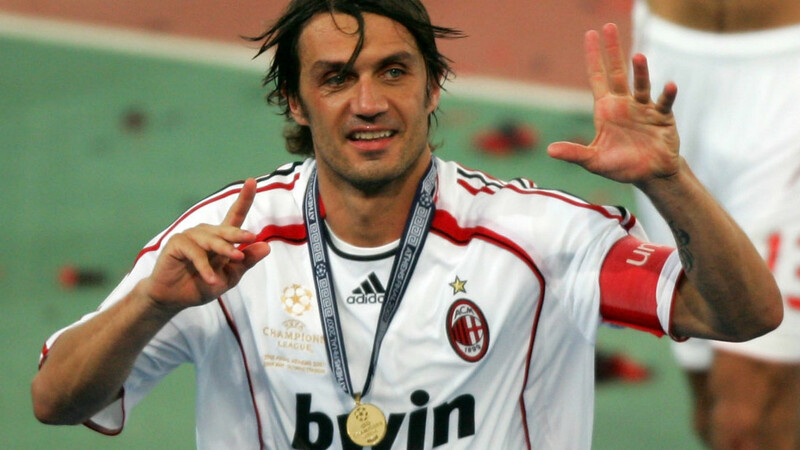 He was a defense player with a unique and beautiful style that led his team, Milan, multiple times to claim victory. His rating was astonishing 92 in 2005, which was high, but not high enough to top Roberto Carlos. 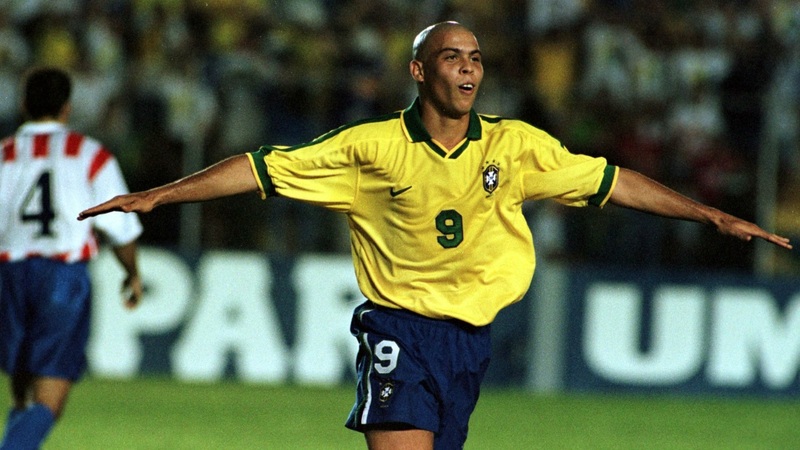 The Brazilian, Ronaldo de Lima, had the highest rating in the history of FIFA - an astonishing rate of 98. His rate later declined due to injuries he suffered on the football court. 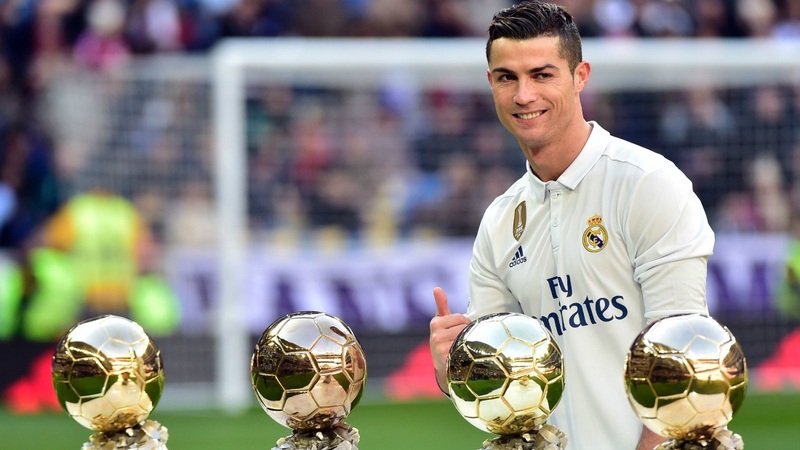 Nevertheless, Ronaldo scored almost 300 goals in his 436 club appearances which makes him one of the biggest strikers in the history of football. Thierry Henry also found his way into the football elite as his rate stood at 97 once. He scored over 200 goals for Arsenal in 377 matches. Thanks to him, his team won two Premier League Championships. He was at his peak in 2005, but by 2006, his performance had rapidly declined, and his rating dropped to only 92.